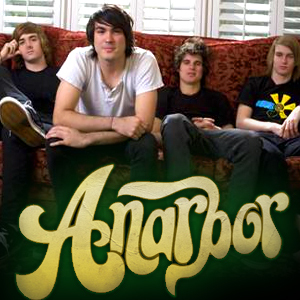 Video: Anarbor - "Gypsy Woman"
Anarbor is a alternative/indie/rock group from Arizona. They have been making tunes since forming in 2003, and have since been signed to Hopeless Records while they were still in High School. Their music has slowly been getting more attention and they create some great songs. Anarbor's latest album, The Words You Don't Swallow, came out this passed April. I really like their style and their songs are for sure to get stuck in your head. Watch the video for "Gypsy Woman" below. You may want to turn those speakers up for this one. You can download "Mr. Big Shot" for free from their official site here.